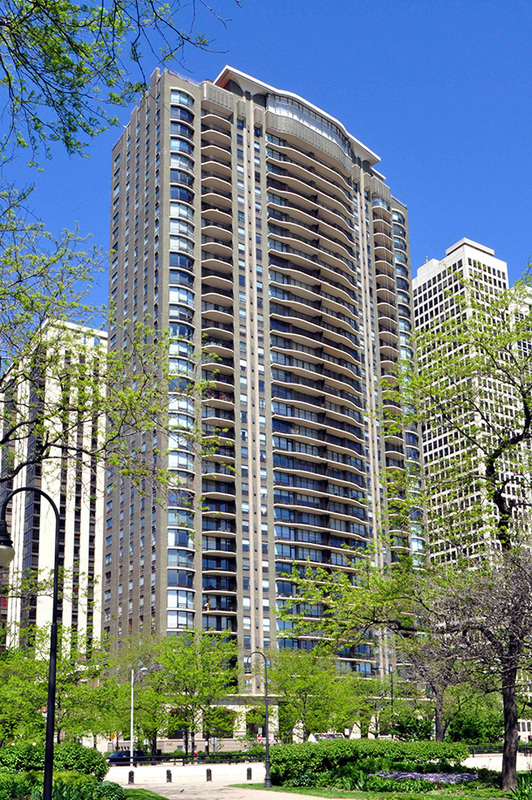 The 36-story Carlyle is considered Chicago’s first luxury high-rise condominium, planned shortly after the Illinois legislature produced the enabling legislation. For it the financing agent Dovenmuehle issued its first condominium loan. 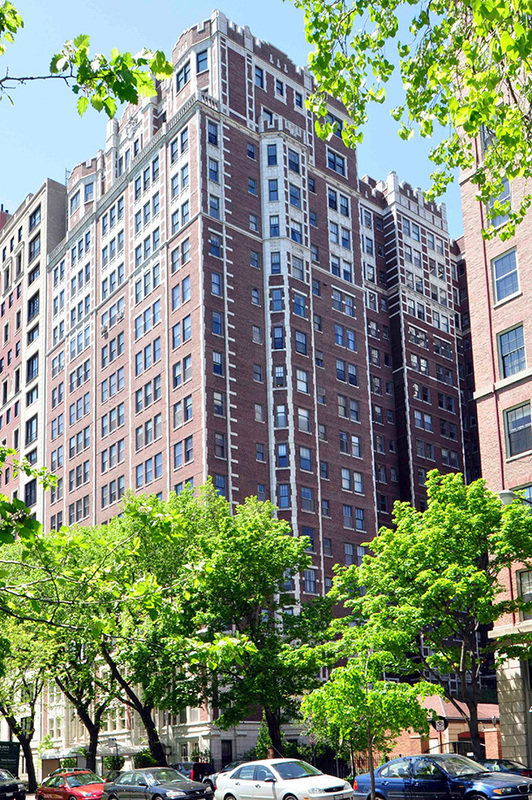 Far more generous in square footage than other apartment buildings of the period, the Carlyle’s layout and services still reflected important changes from luxury buildings constructed before the Depression. Room dimensions and the number of servants’ rooms had shrunk, although, unlike its contemporaries, the Carlyle featured formal dining rooms. 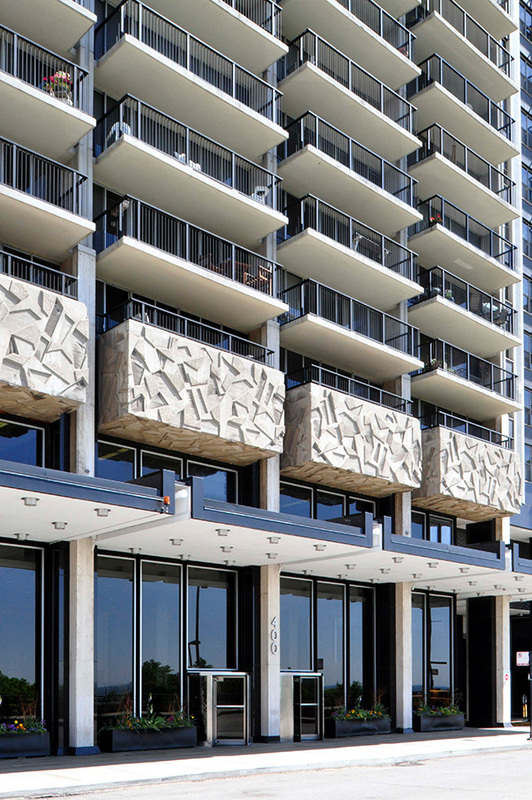 There were conveniences that soon would be available in many new lakefront buildings: balconies for every apartment, a swimming pool, and a health club. 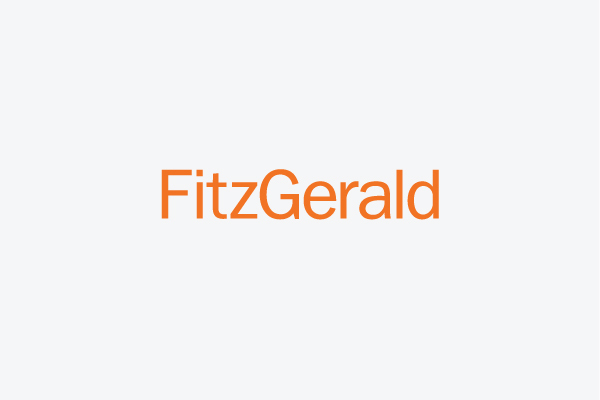 Apartments were as large as five bedrooms and up to 5,200 square feet. A typical floor was divided into two tiers, each with its own set of elevators, containing four somewhat smaller units. 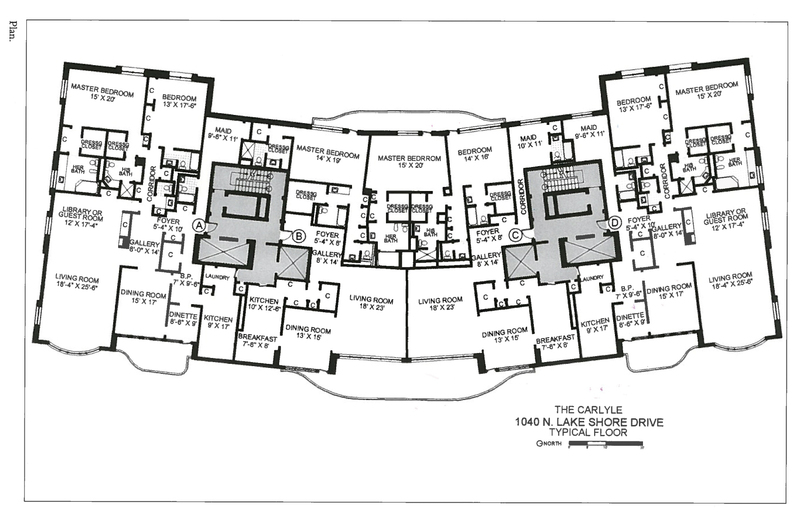 To sell the more than 100 apartments, the “Little Carlyle,” a furnished residence on nearby Cedar Street, displayed sample layouts. 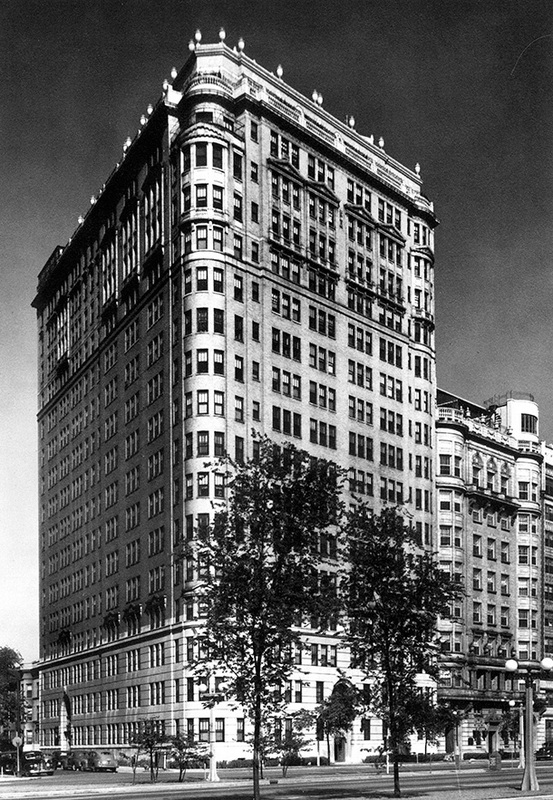 The Carlyle remains a condominium building today.